When Terra the cat’s tummy started to bloat up, nobody thought anything of it. After all, her food bowl had been emptying out quicker and everyone just assumed that her appetite was simply growing. That or the dog was helping her finish off her meals! However, the situation quickly took a turn when Terra surprised everyone with a gift. 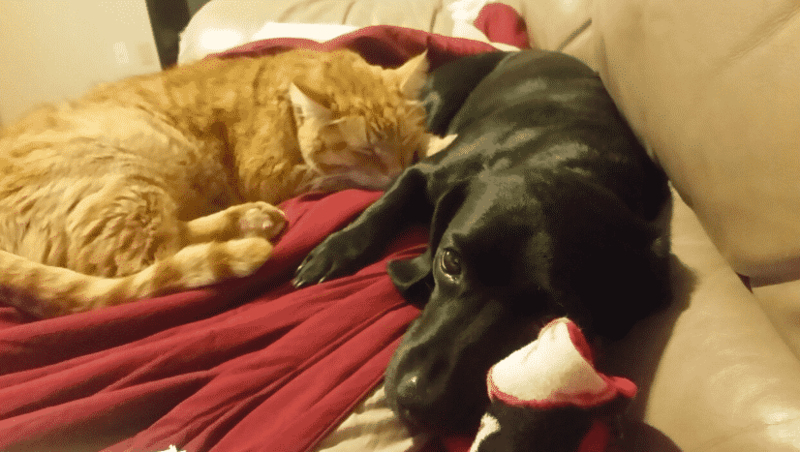 You’ll fall in love with this tale of love and friendship between a cat and her pooch pal. Imgur user, oowth, suddenly found herself in the position of a foster parent after one of her friends left to join the navy. You see, the pal had two cats and they had asked oowth if they could look after them while they were gone. Oowth happily obliged but she had no idea what she would be getting herself into. Oowth noticed that the cat had gotten a bit chunkier, but she also noted that the cat didn’t seem to be in pain and wasn’t purring abnormally. With all of these context clues, she put off taking Terra to the vet and just chalked up the whole situation to Terra being a chunky kitty. She never expected what would happen in just a few days time! An uneventful week had passed and Oowth didn’t think anything of Terra’s weight again. The cats were both minding their own business and things were particularly quiet, almost too quiet. 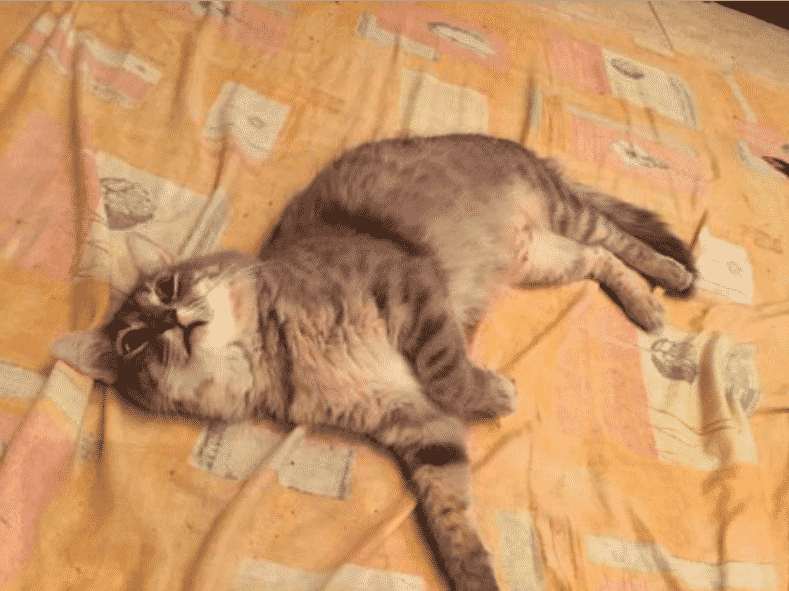 She said that both the cats were calmly lying about, but then she began to hear an odd sound that she didn’t recognize. She quickly ran to see what it was! Oowth quickly ran over to find the cats. She began to worry that one of them had gotten stuck inside the wall or was hurt really badly. 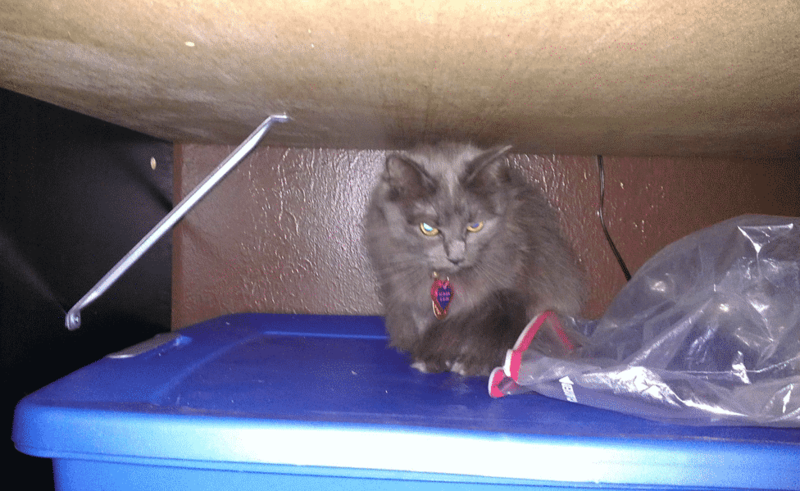 When she finally stumbled across Terra she was blown away by what she found! 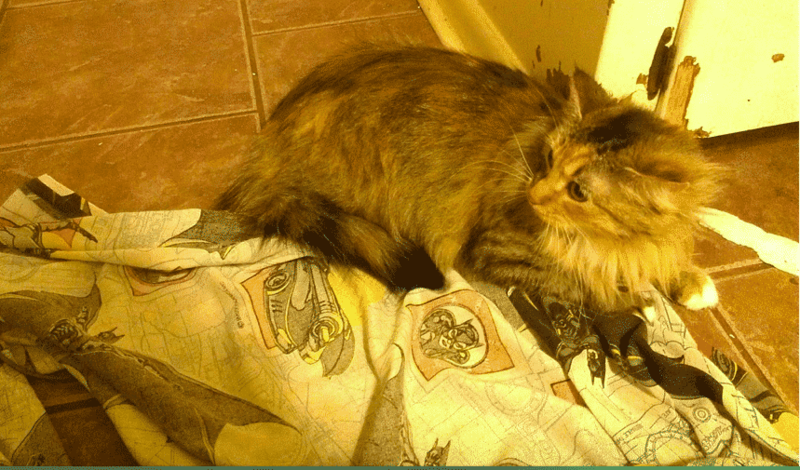 You see, underneath Terra were two kittens. Oowth quickly went onto WikiHow to find out what to do when your cat is giving birth. 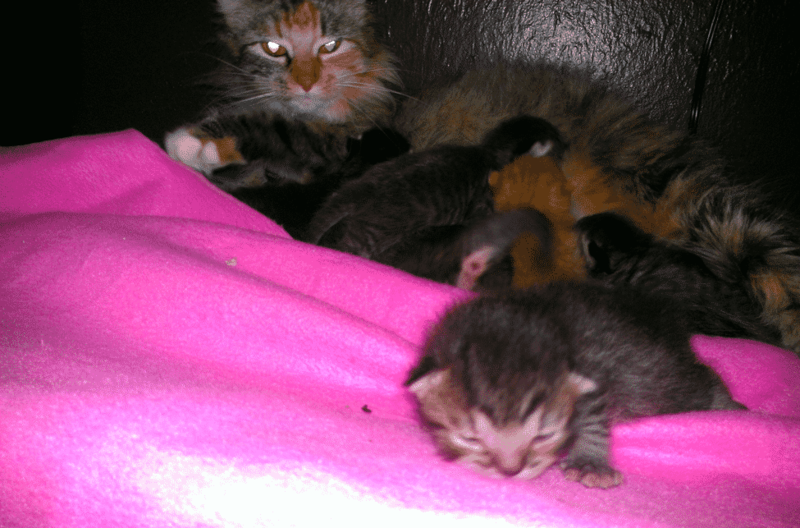 After some online searching, she realized that she should just let Terra do her thing and you won’t believe just how many kittens she gave birth to! 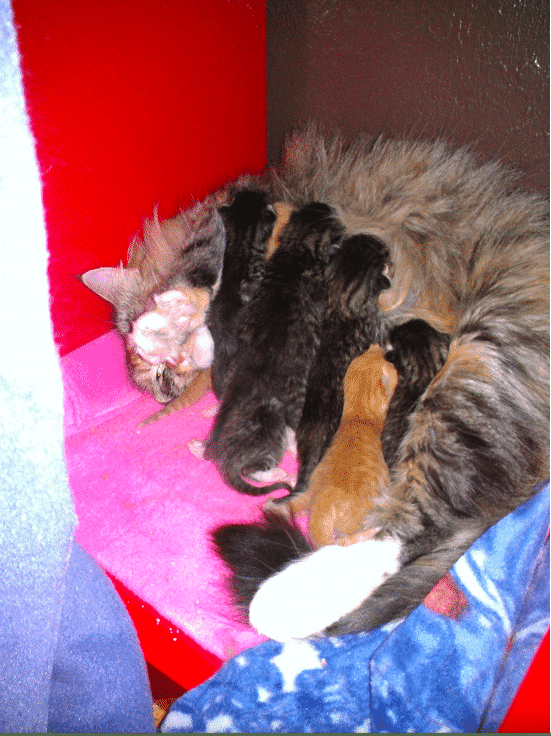 In total, Terra gave birth to 7 adorable kittens. 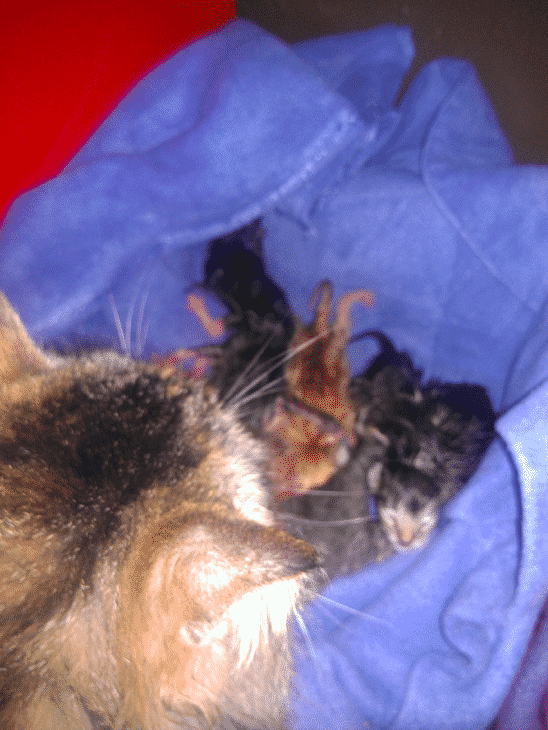 All of the kittens were healthy and Oowth was completely blown away by the surprise birth. However, she wasn’t the only one that would quickly fall in love with these gorgeous kittens. Don’t believe us? Check out the rest of the story. 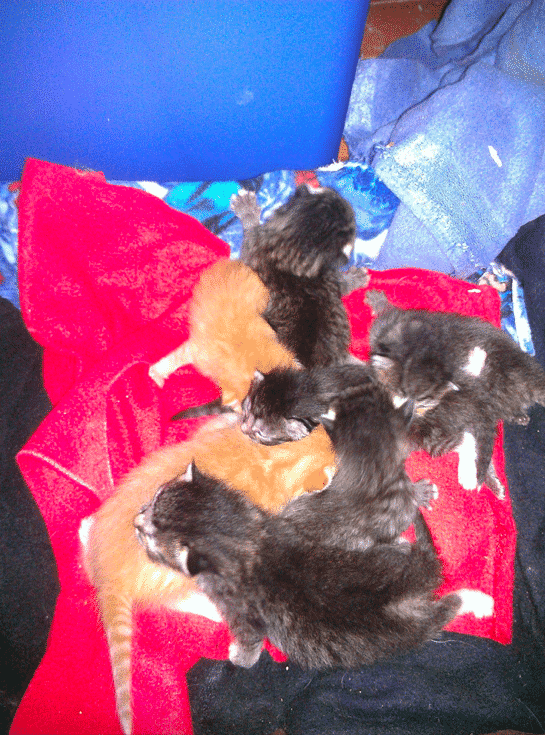 Oowth was so excited to have a litter of kittens by her side that she immediately went about naming them. 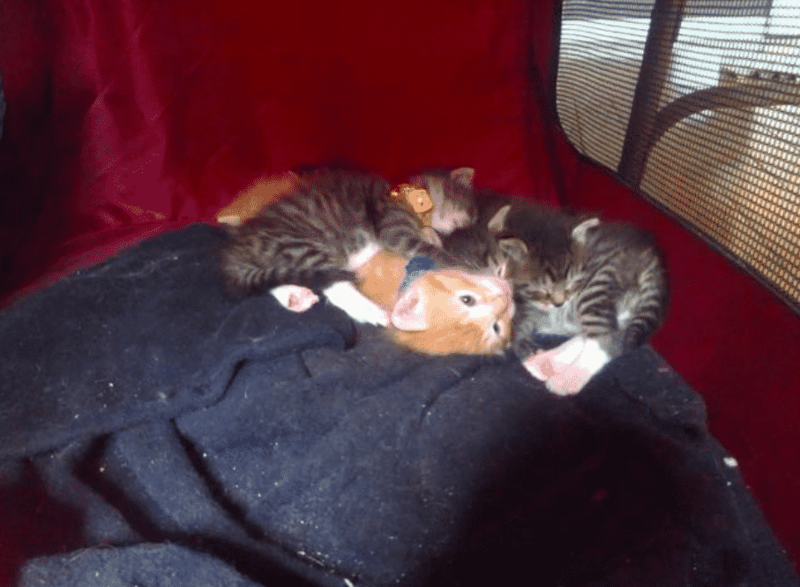 The kittens’ names were as follows: Schrödinger; Tesla; Honey Boo-Boo; Minerva; Dutchess; and Fred and George, the two orange ones who were named after the redheaded Weasley twins from Harry Potter. However, the litter would soon have another unexpected family member! The unlikely friendship surprised everyone! 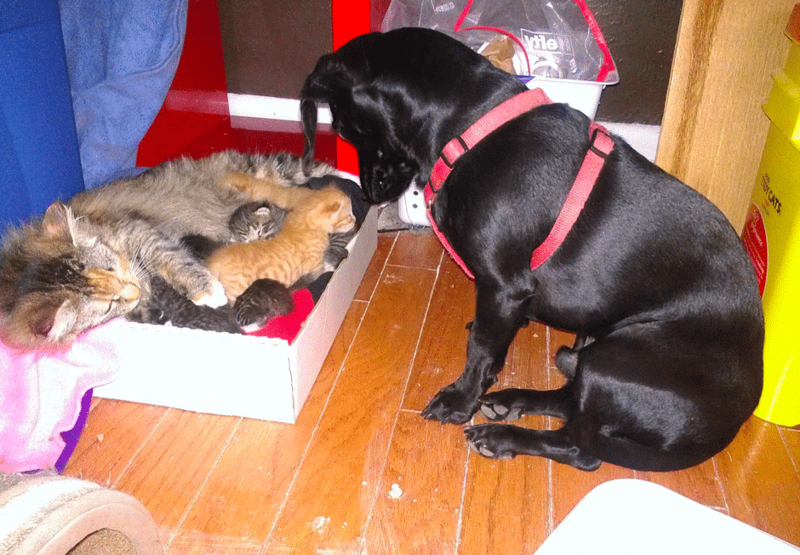 The fact that the dog was sniffing the kittens all day long worried her at first because she didn’t know whether her pup had good intentions until she arranged one special encounter between them… You won’t believe how the pooch reacted! The weenie mix would try to be around the kittens as much as possible and would watch over them when Terra was tired or too busy. Oowth eventually allowed him to get near them while watching his every move and all he did was lick them all over! So how did mama Terra feel about this dog intruding on her parenting? 10. Will you be meow stepfather? Here you’ll see the weenie mix taking on the role of father and protector. 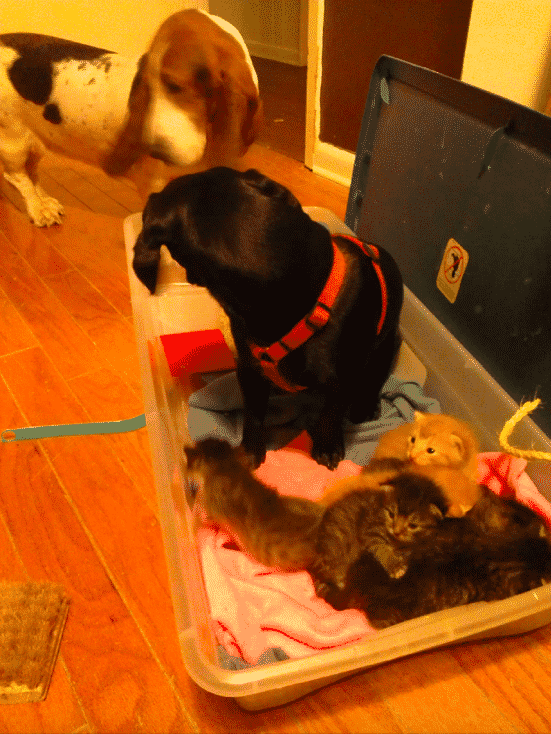 Watch as he guards the kittens against the Bassett hound and ensures that the kittens remain safe. You can’t pay for that kind of dedication. The next photo will have you rolling over in laughter. 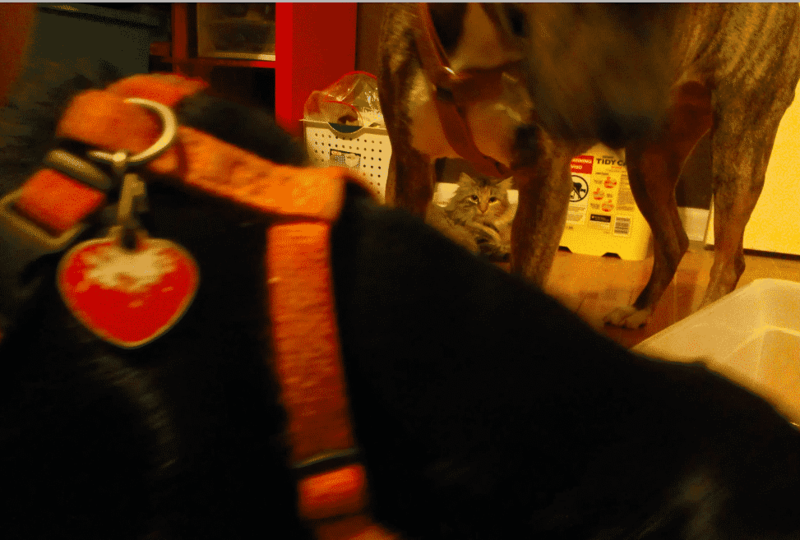 Sometimes the dog would straight up kidnap the kittens and take them to another room with him. As you can see, the dog was growing very attached to them. Check out where he brought them and why. 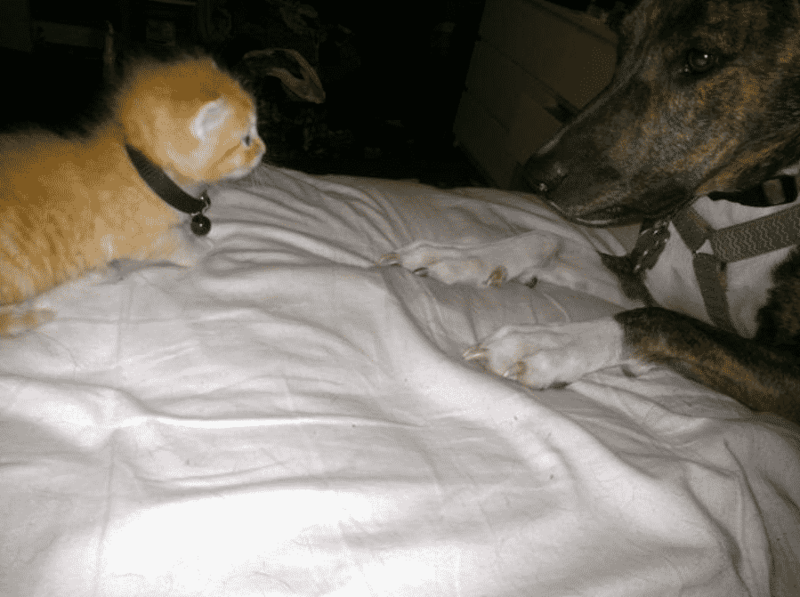 The dog would kidnap one or two kittens at a time and bring them into the other room for a movie night. He would cuddle them up and want to keep them close. “I was watching TV and looked down and he had carried two out to chill with us.” Oowth wrote on Imgur. But what about the other dogs? 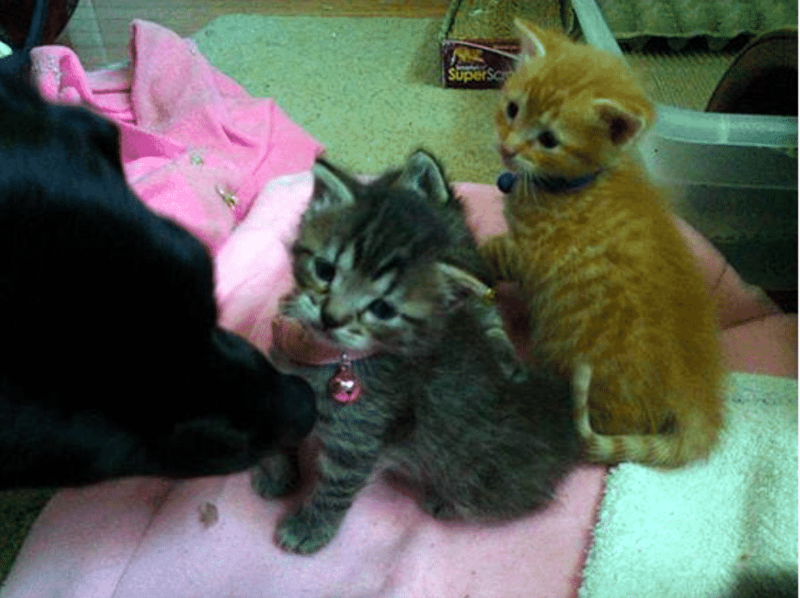 Eventually, the other dogs warmed up to the kittens as well. Here’s one of them cuddling up in bed with a kitten. Looks like they’re in the midst of a serious life lesson talk. 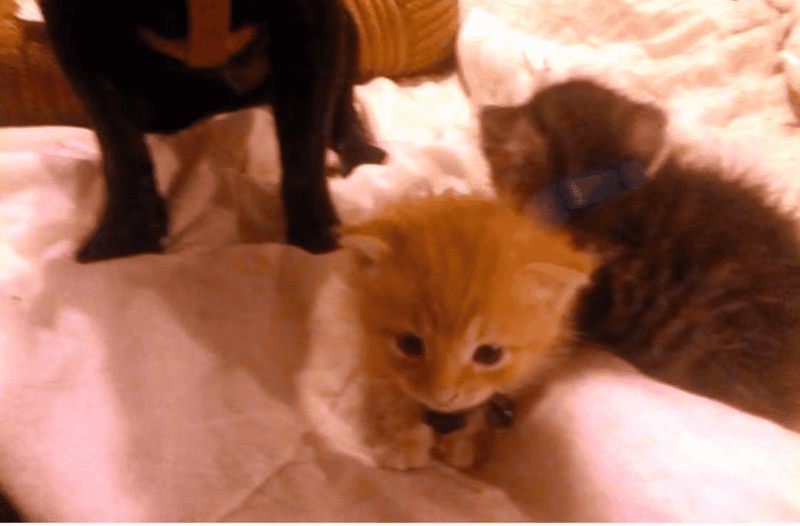 You’ll absolutely fall in love with the next photo of the dog interacting with the kittens! 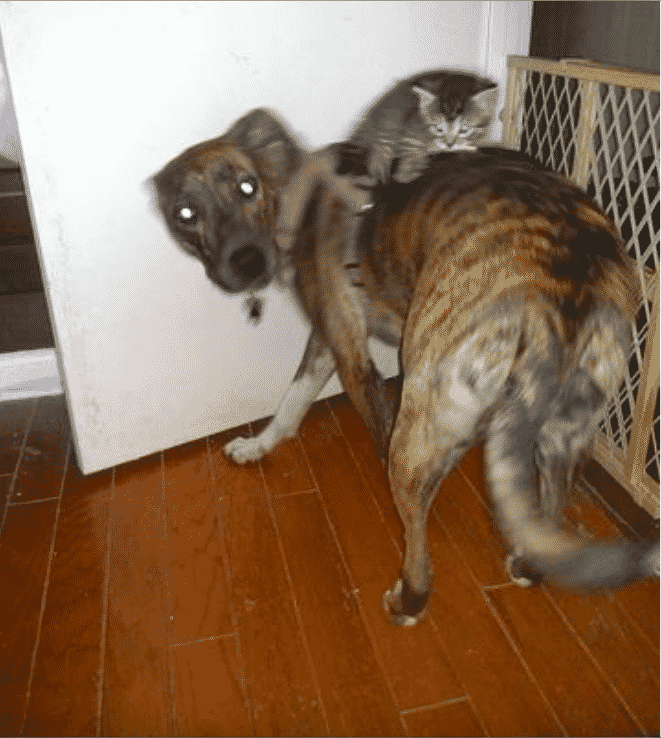 Here’s an adorable photo of one of the dogs giving a kitten a back ride. It seems that Terra really lucked out with her litter as she has a handy set of babysitters all dedicated to keeping her kittens happy! So what’s going on with Terra and the crew now? In this photo, you can clearly see dad taking his fatherly duties far more seriously than mama Terra. Terra is off in the distance taking a sweet catnap while the dog is licking and grooming the kittens. Terra sure is happy with her free babysitter. 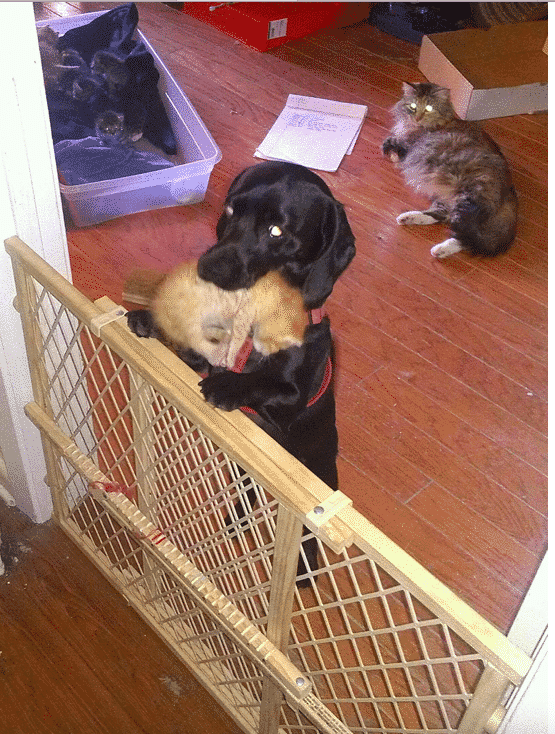 “(She) would even just walk away once my dog started licking on the kittens, content at her free babysitter.” Oowth wrote. But it doesn’t end there! 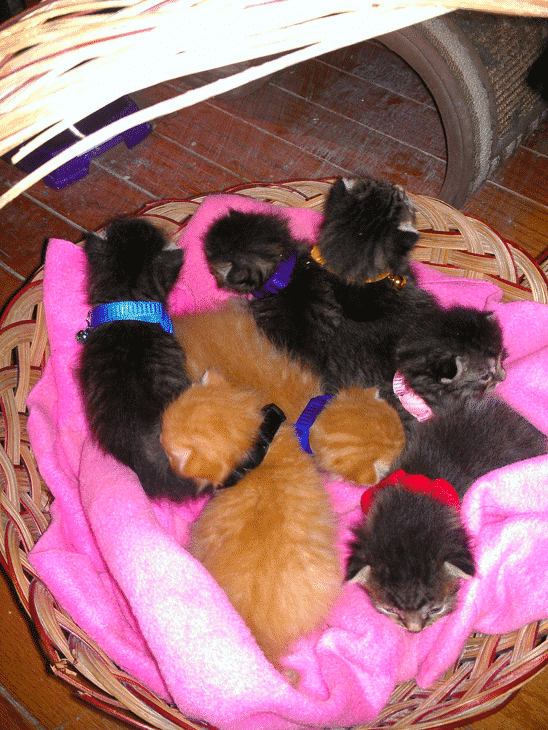 Here’s a close-up photo of the kittens with all of their different colored collars. Oowth made sure to remember which color belonged to whom so that she could distinguish all the kittens from one another. After all, it can be pretty hard to tell in the midst of all that cuteness which one is Fred and which one is Honey Boo-Boo. Check out the family portrait in the next photo, it’s so adorable! 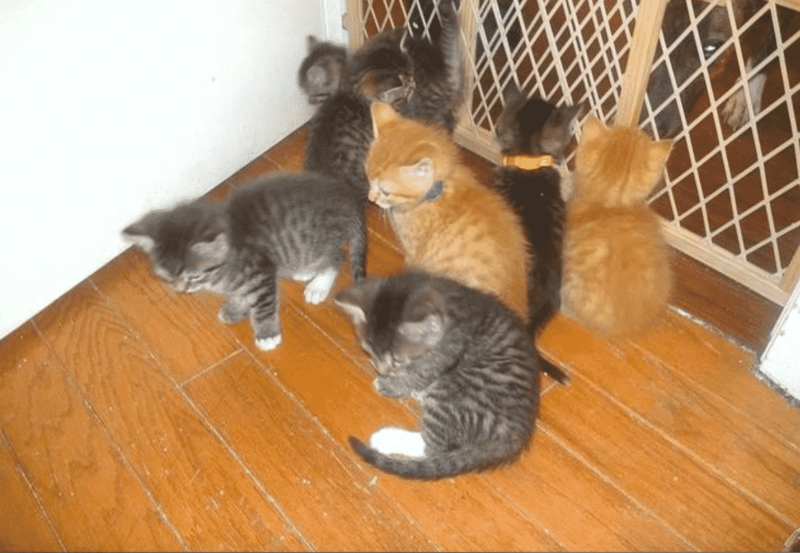 For now, Oowth is taking care of the kittens until they find their forever homes. They’ve continued nursing with their mama and being coddled by their step-dogfather. Together, this group has become a marvelously happy family. Check out the last photo of the cutest family ever! As you can see, the kittens are now a little bit bigger and they can even eat by themselves. But their cat mom and step-dogfather still keep an eye on them, just like in the next photo! The connection between the pooch and her stepkids grew even stronger and we can’t wait to see more photos of this happy family!